An attractive smile can help you approach life with confidence and see yourself in a different light. 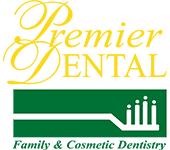 Akbar Ebrahimian, DDS, and his team at Premier Dental offer dental implant restoration for men and women of all ages. Located in Sugar Land, Texas, Call for a consultation or schedule your appointment online to learn more. A dental implant is a surgical component usually made of titanium that interfaces with the jaw bone to support a dental prosthesis such as a crown, bridge or denture. Dental Implants acts as an artificial root. After the implant is placed by an oral surgeon or periodontist it takes a few months until the implant is integrated with the bone. After integration, the surgeon will refer the patient to a restorative dentist who will then place crown, bridge, or complete denture on the implant. How does a dental implant get restored? In your initial dental examination, Dr. Ebrahimian will evaluate the area of missing one or more teeth and recommend implant placement to bring your bite to its natural position. Dr. Ebrahimian collaborates closely with capable surgeons within the sugar land area, that have many years of experience in dental implants placement.